Emma’s MA project is focused on tidal power development in the Bay of Fundy. Her research thus far has focused on the sustainability discourse, the impacts of tidal power, the environmental assessment process and frameworks for public participation. She conducted a policy gap analysis regarding the permitting process for in-stream tidal energy conversion installations in Canada and the United States. 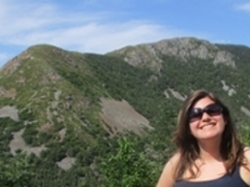 Her work will examine risk perception and tidal power environmental impacts in a transboundary context. 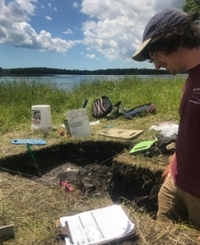 Chris previously worked as a field archaeologist in cultural resource management in the southern New England region and holds a B.A. degree in History and Anthropology from the University of Connecticut. 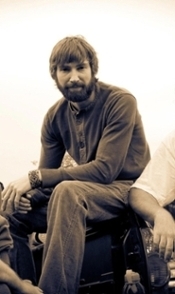 His research interests lie in the lithic technologies of the prehistoric New England-Maritime region. Related interests include CRM, prehistoric archaeology, and experimental archaeology. 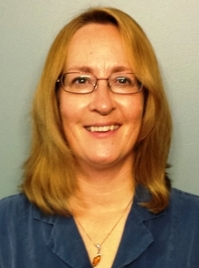 Katherine's research interests include historic archaeology and the contact period, repatriation, archaeological ethics and collections management. Her Master's research will focus on fur trade archaeology through analysis of collections from Northern Ontario. Jessica has a deep fascination with 18th century maritime history and seafaring culture. 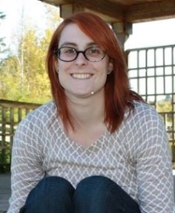 Her master’s research focuses on the study of human skeletal remains and associated mortuary artifacts from Rochefort Point, the main burial ground of the Fortress of Louisbourg in Cape Breton, NS. During the 18th century, the Fortress of Louisbourg was the gem of France’s overseas expansion as a prominent economic and strategic stronghold in the North Atlantic. Erosion of this site offers an opportunity to investigate its cultural and skeletal remains buried there. This research will illuminate the struggles of colonial life during this tumultuous time in Atlantic Canadian history. Concentrating on coastal archaeology, Margaret is looking at shell middens in the Maritimes, with special interest in Nova Scotia and PEI. Trevor’s interests lie broadly in the manifestation of ceramic technology during the Woodland Period in the modern day Maritime Provinces and New England States. He is especially interested in exploring patterns of vessel manufacture, and in exploring the nature and role of ceramics in Wabanaki society. 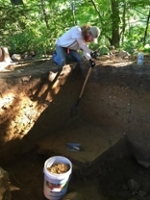 He has been involved in excavations at various sites in coastal Maine, USA. Erica completed her undergraduate studies in anthropology at University of Ottawa. Her background is in socio-cultural and psychological anthropology. 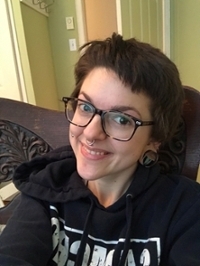 She is particularly interested in issues related to stigma, discrimination, social justice, LGBTQ+, body modifications and body image, as well as mental health. 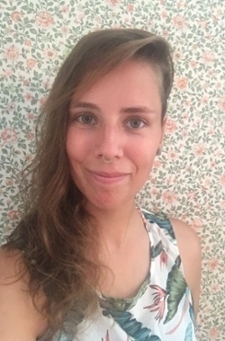 Erica's MA research will focus on the epistemic and practical tensions between clinical and traditional healing systems in New Brunswick within the context of cultural difference. 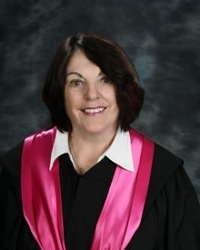 She will be working with minority communities within New Brunswick to conduct an ethnographic study on the experience of disease and illness, mainly within the context of mental health. Possible communities include LGBTQ+, recent immigrants, indigenous peoples, adolescents and youth. Topic of Interest: Politics of Education and the Construction of Knowledge. 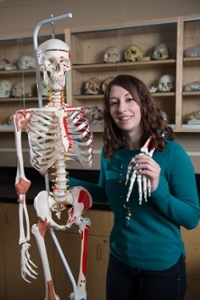 Mattia completed her BSc in Forensic Science and Anthropology at Trent University. She will be working with human remains excavated from Rochefort Point at the Fortress of Louisbourg (1713-1758). Her research will focus on traumatic bone injuries and pathological conditions that the individuals at the Fortress endured throughout their lifetimes. 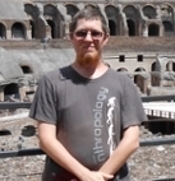 Michael has been a practising field archaeologist for 12 years with much of his experience having been gained in Europe. Through the lens of human-fish interaction and archaeologically recognized food storage and processing facilities located on the banks of the Miramichi River in Northeastern New Brunswick, his research explores a particular form of hunter-gatherer delayed-return subsistence economy and its wider socio-cultural significance during the Maritime Woodland Period (ca. 2800 - 500 BP). Nicole graduated with her BA Honours in Anthropology from Brandon University. Her MA research will focus on the biochemical analysis of stress on the human remains excavated at the Fortress of Louisbourg in Cape Breton, NS. This project will provide an overarching comprehension of stress that affected the population by comparing the stress response between different elements within the skeleton. Sally is doing an Inter-Disciplinary PhD in Classical Archaeology and Archaeosteology. She is interested in the Mycenaean period and the origins of the chariot horses used during the Bronze Age. She is currently examining horse bones from a mortuary site in Greece to determine where they were raised. Another aspect of her research involves iconography, and the new way horse images were presented during the Late Bronze Age (LHII-LHIIB) in Greece. Through studying iconography in other parts of the Mediterranean and Western Europe she is looking for these particular characteristics that appear in Greece.